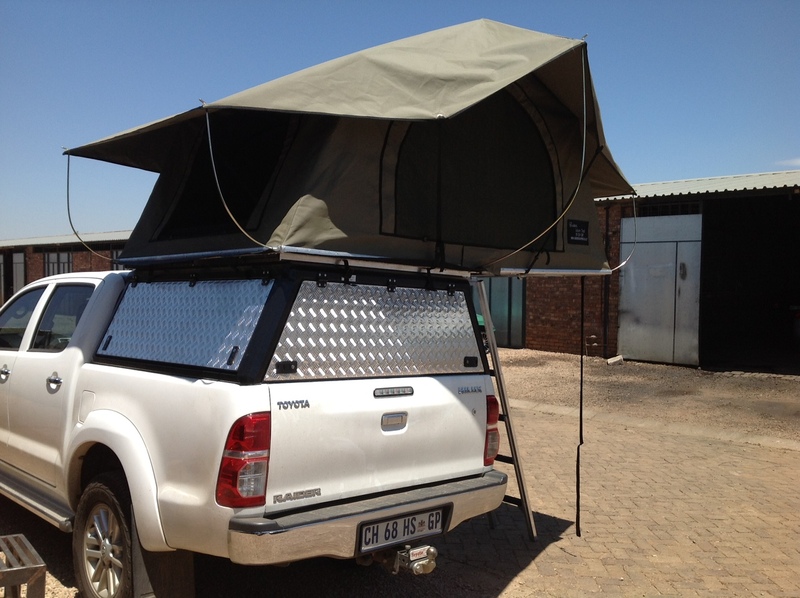 Our Roof tents are manufactured from high quality rip stop canvas and the base of our roof top tent is fully aluminium, Our tents come as standard with a large access door on either end of the tent as well a large window on each side. 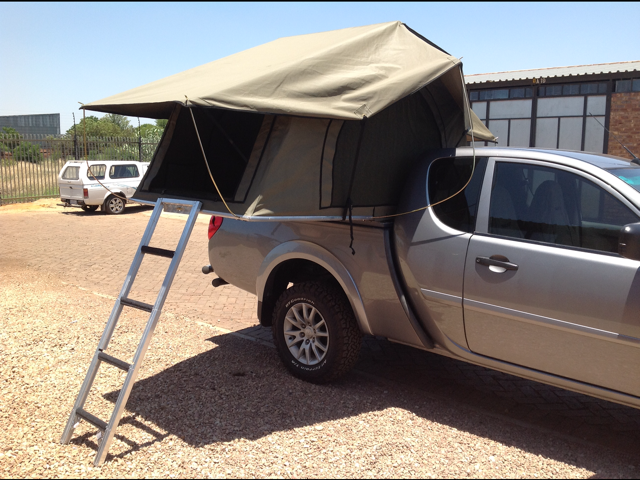 The tent comes as standard with an upholstered foam mattress and aluminium ladder. Our tent has quite a unique design feature as we also have an access door built into the base of the tent. 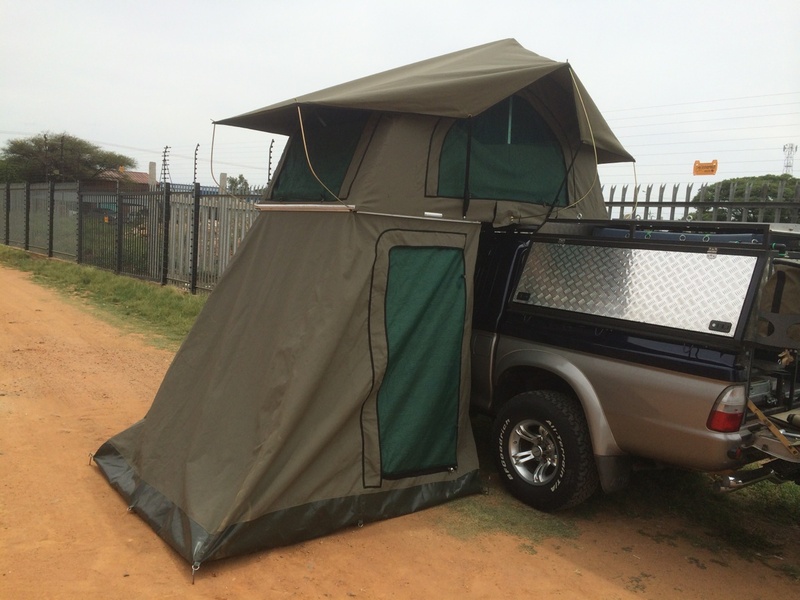 The reason for this additon is so if you require our "add a room" option which very simply connects to the base of the tent then you are able to move from the inside of the tent to the add a room without going outside. 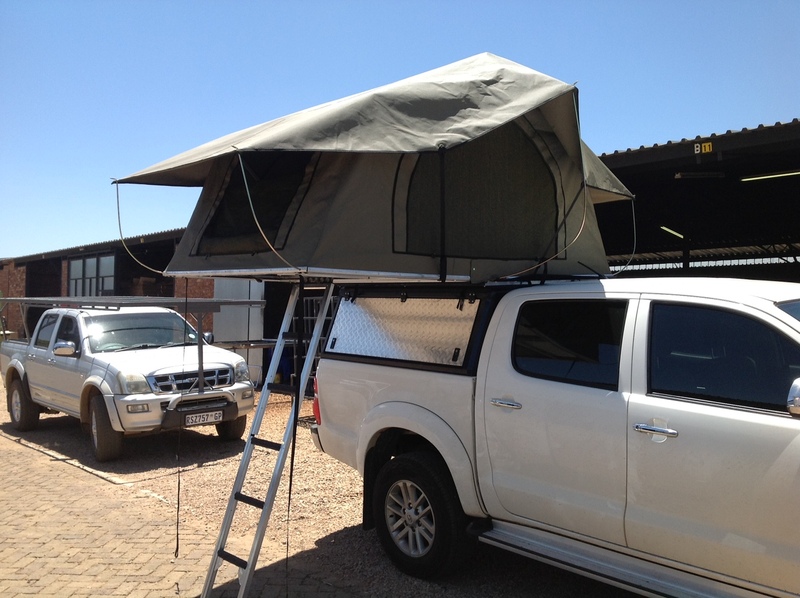 Another nice feature is that 2 people can sleep in the add a room and 2 people in the roof tent which means easy communication can be achieved if nessercary which is ideal for people with younger children. 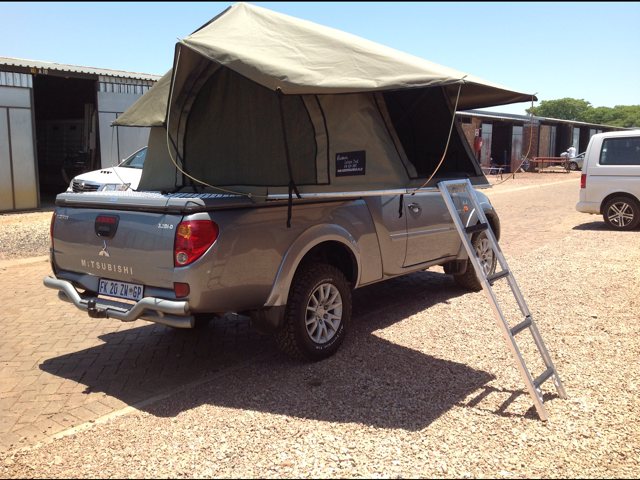 Most of our roof top tents are 1.3m L x 1.3m W when closed (1.3m x 2.6m when opened) however other sizes are available upon request. 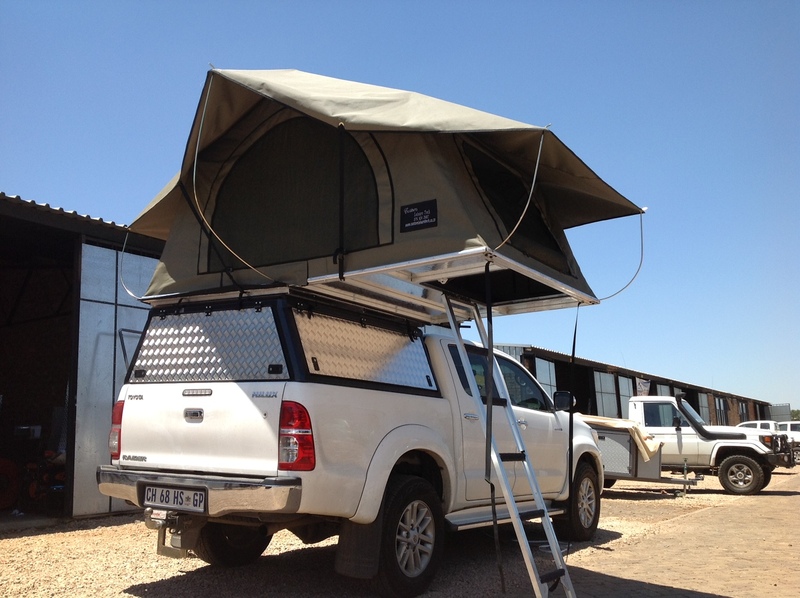 If you require any further information about our roof top tents or our add a rooms then please do not hesitate to contact us.